A flash of light and a loud bang that rocked the Manchester Arena shortly after an Ariana Grande concert has been recorded by a dashboard camera from a vehicle parked nearby. The footage, posted online by Joe Gregory, captured the moment a loud bang rocked the venue. 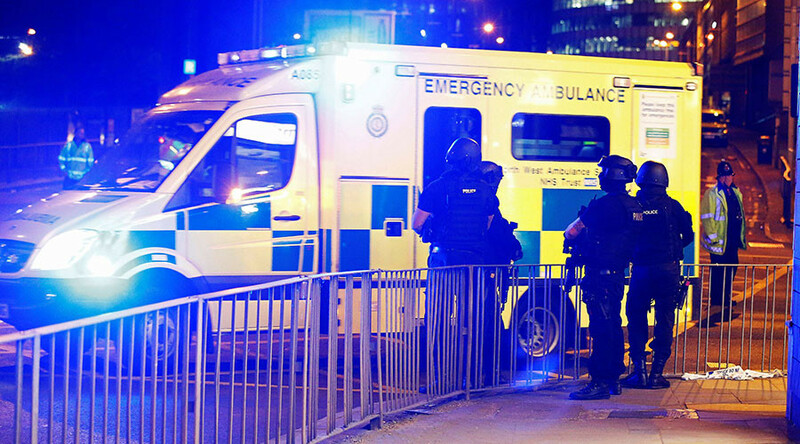 At least one explosion rocked the Greater Manchester area just as revellers were exiting the Manchester Arena following a concert by the American singer on Monday night. The initial statement from police reported a “serious incident”, which they have now upgraded to a possible “terrorist incident,” confirming that at least 22 people were killed and dozens more injured. Footage from inside the concert showed the panic that ensued following the blast. Videos from outside showed an army of emergency vehicles making their way to the arena as a rasping of sirens filled the city.